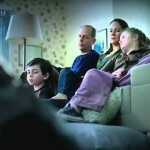 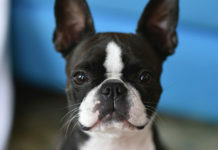 Watch this Harley Davidson Commercial which is featuring cute dogs. 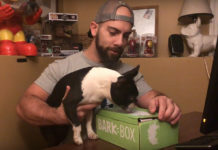 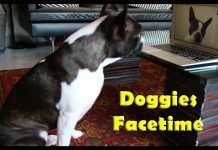 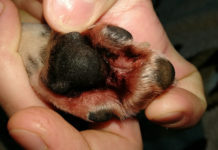 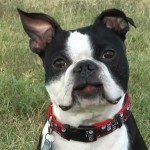 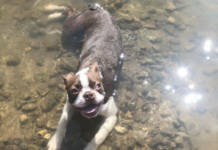 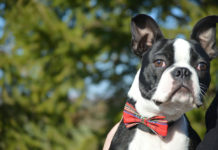 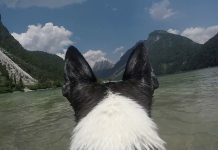 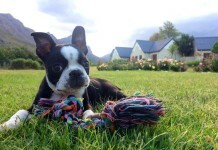 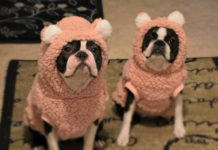 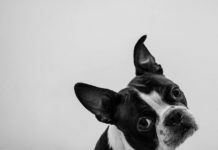 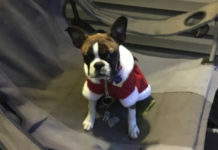 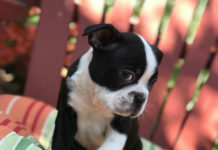 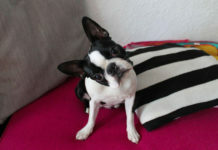 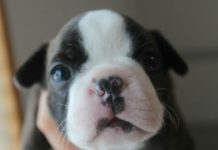 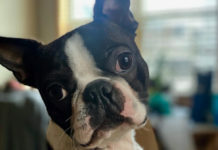 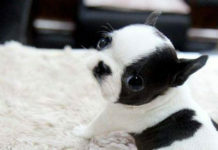 A Boston Terrier dog is also included in this video. 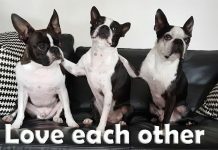 In this short commercial video, a Harley Davidson rider frees the dogs of their cages at the pets store by hooking up several leashes to the cages and rides off to liberate the pooches.